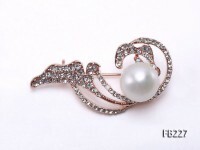 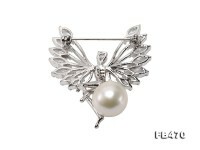 Charming 13.5mm white flatly round freshwater pearl brooch. 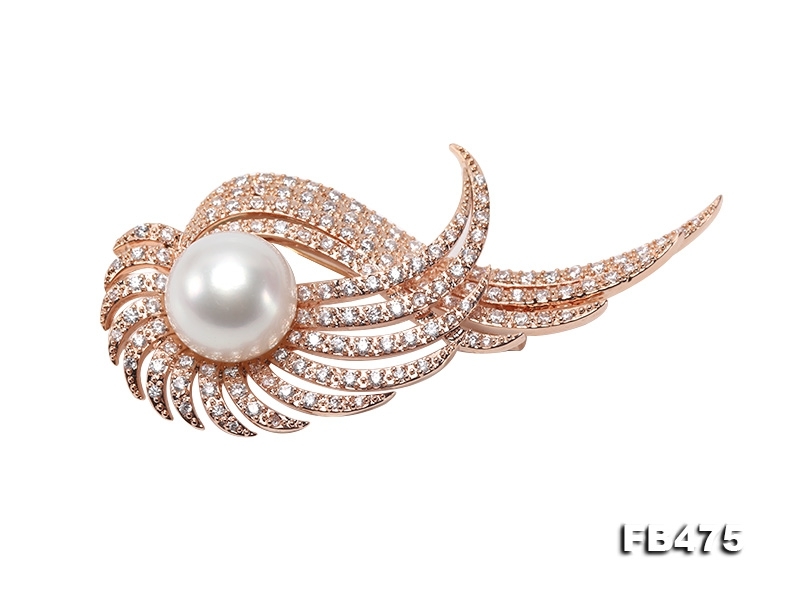 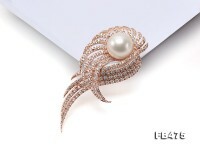 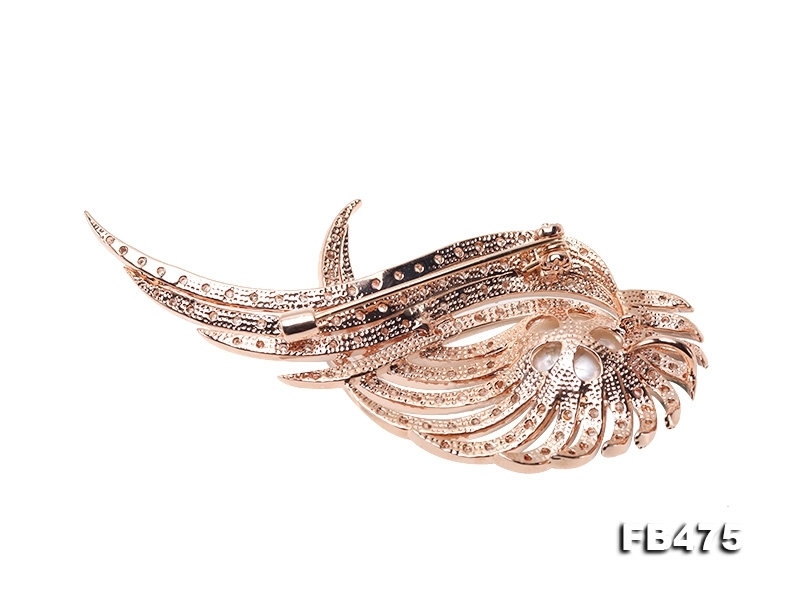 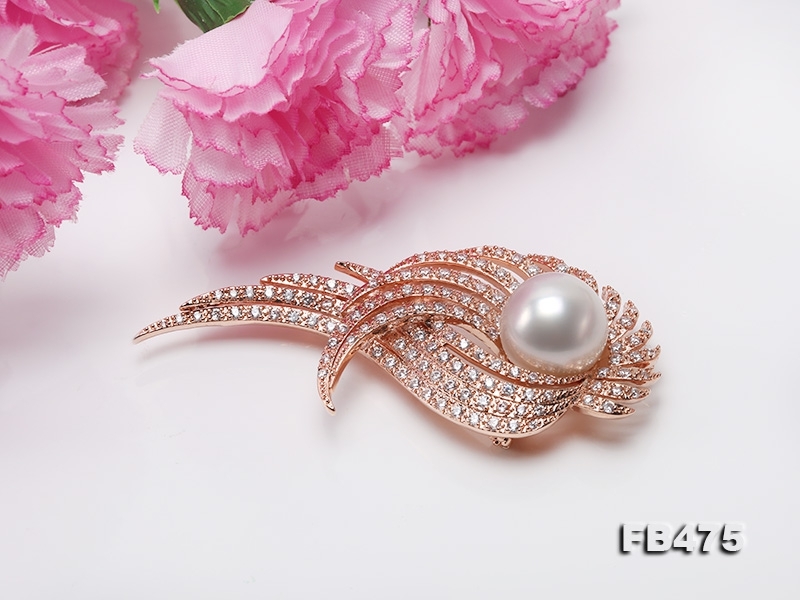 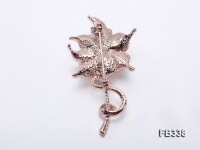 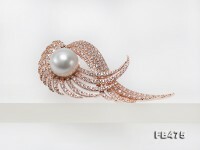 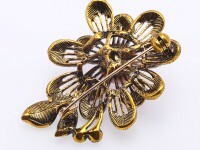 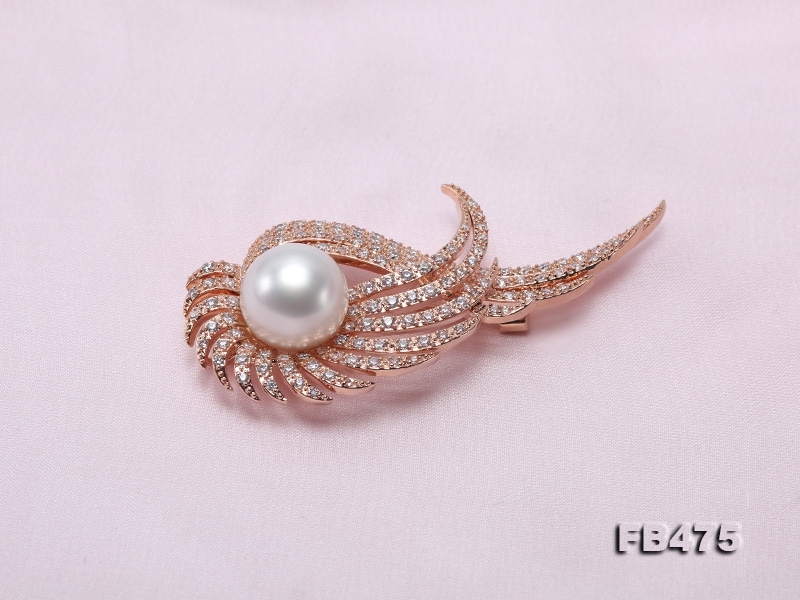 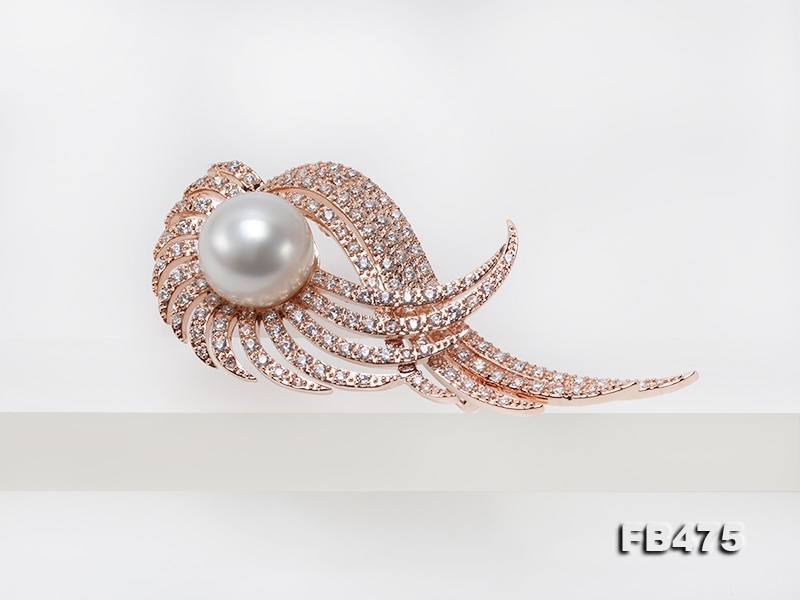 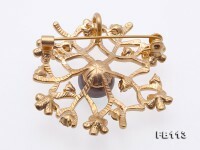 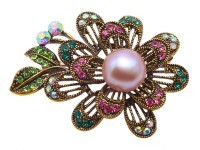 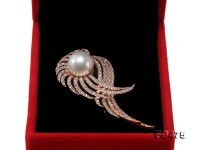 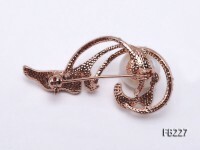 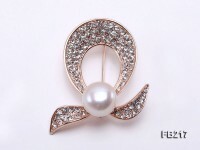 The brooch is crafted with solid copper and thickly embellished with shiny zircons. 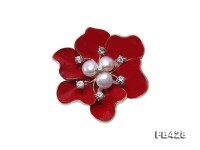 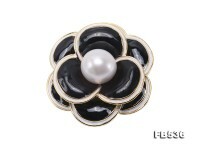 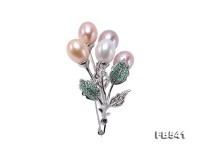 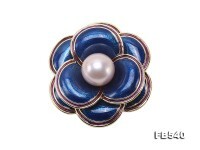 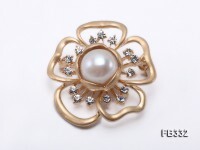 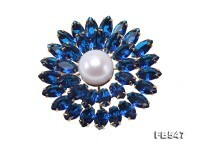 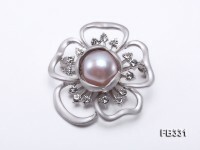 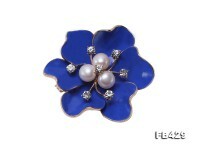 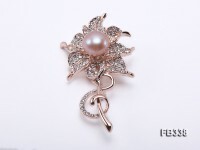 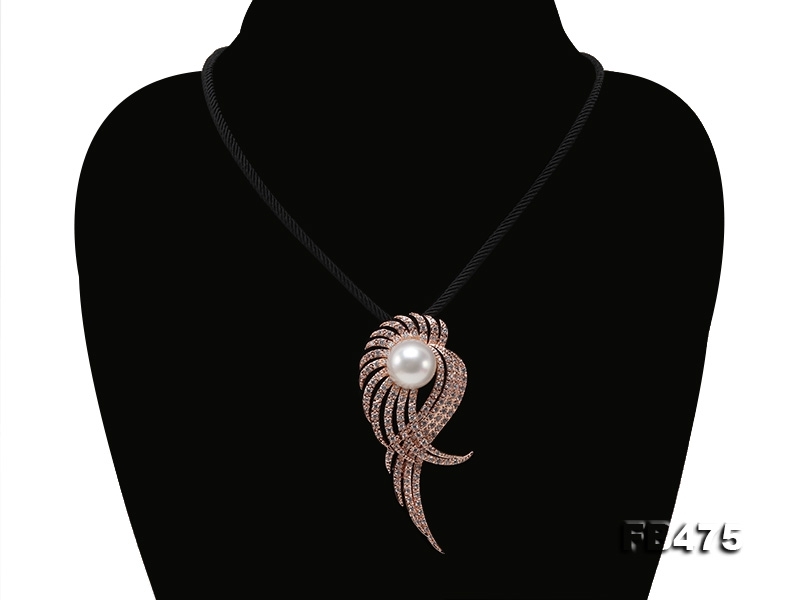 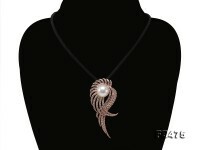 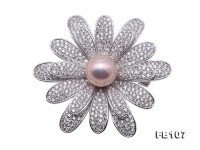 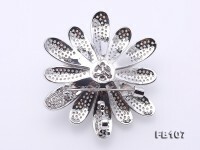 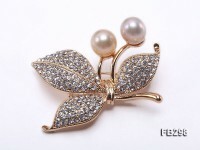 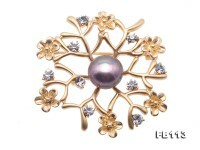 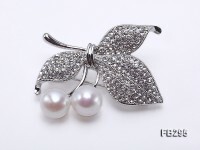 It also can be used as pearl pendant.